What Do You Know About Dublin's Riverside Renaissance? Dublin Docklands – A Quick History! Rewind back to the 1970s and the Dublin Docklands was empty and desolate with much of the employment in the area having been wiped out by modern technologies introduced at Dublin Port and replacing the workers. The start of the regeneration did not come until the late 80s following the Urban Renewal Act 1986 leading to the IFSC and the Point Depot developments however unemployment still stood at 35%. It wasn’t until the social and residential aspect started being developed as well as the commercial in the 00s that the area became attractive to international giants like Google who sought a certain lifestyle for their employees. 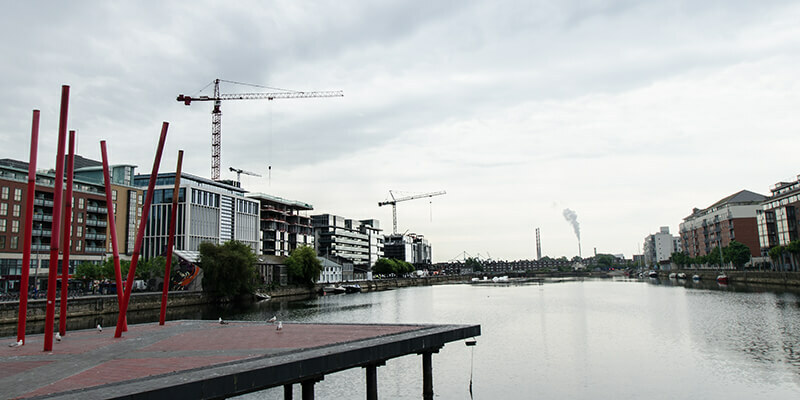 Developments such as the 02, the Bord Gais Theatre and Grand Canal Square offered incentives for the world’s best talent to come and work in the area (around 45% of the local population were born outside Ireland). While the five-star Marker Hotel and four-star Spencer is said to host 3.6m visitors annually. Now over 40K people work in Dublin’s Docklands. With half of the world’s top 50 financial institutions, half of the world’s top 20 insurance companies and leading tech companies like Google, Yahoo and Facebook making the area their biggest base outside of Silicon Valley it’s easy to see why it is such a hub for employment. The area falls under the Strategic Development Zone approved by An Bord Pleanala in 2012 supporting it’s continued growth to continue to be the base for large international organisations who come to Ireland with a further 1.4m sq. ft. of space under construction in the Docklands along with the potential for another 2.1m sq. ft. from the area’s remaining brownfield sites. With easy access to Dublin Port, Dublin Airport, a selection of bus, luas and DART routes and bicycle lanes and bays, it offers a wealth of transport options for workers based in Dublin and travelling in from abroad. Many of the below developments are mixed-use schemes offering future residents the opportunity to live in walking distance of their workplace. The schemes will also include childcare facilities to add to the existing services in the area. A Dublin City Council backed report found 74 educational and training facilities in the area that includes enough primary and secondary educational services to facilitate the projected growth in population under the SDZ plan. A Strategic Development Zone can be applied to an area which is of ‘economic or social importance to the State’. The area under the SDZ comprises of 66 hectares of the overall Dublin Docklands area. All new development applications made for this part of the docklands must be granted permission if they are consistent with the scheme and cannot be appealed to an Bord Pleanála. The system allows for buildings up to 88 metres or 22 storeys high to be built in certain areas within the zone. Residents’ groups in the area have been voicing concern about the perceived disconnect between the newer developments and the longstanding communities already in the area. Noise issues, the juxtaposition between multi-storey commercial developments with lower quality social housing and the concentration of employment in highly educated professional sectors are all among the areas being objected to. However Dublin City Council and other interest groups highlight many positives for both locals and the city at large. Investment in the area is not limited to just corporate HQs and high rise residential apartments, the Dublin Port Company invested in a cruise business which saw the arrival of 127 cruise ships in 2017 as well as a major infrastructure investment adding to the type of employment in the area. 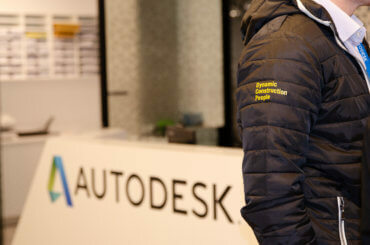 The construction work also offers the potential for employment for people with construction skills. Investment in property in the area has also brought investment in schools, infrastructure, community centres and culture such as the Docklands Summer Festival aimed at bringing all local residents together. Status: Under construction with No.1 and No.2 completed already in 2018, full development due for completion in 2020. Comprising of 5 Grade A office buildings, 273 luxury residential units and a boutique hotel, the Dublin Landings is seen as an ambitious regeneration project in the heart of the Dublin Docklands. 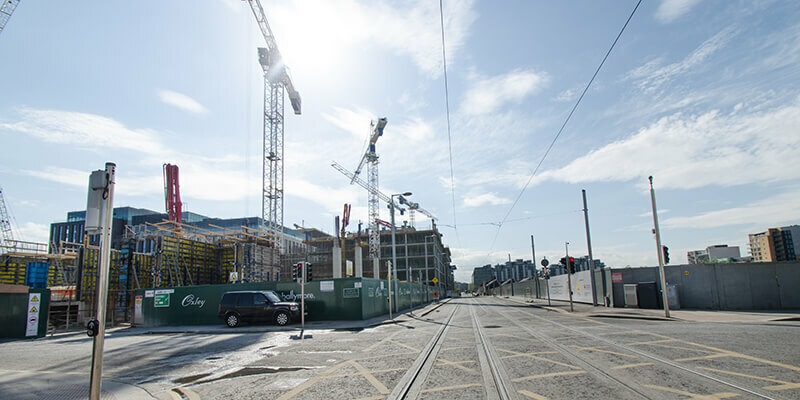 6,000 people are expected to work and live in Dublin Landings with NTMA and WeWork having signed up to taking No.1 and No.2 respectively while the development is already the new home of the Central Bank. When completed it will comprise of over 1m sq. ft. This is one of the last remaining prime development sites in Dublin’s docklands and has just been launched on the market with a guiding price of €110m for the full development or €45 million on the 3.55 acres allocated for the residential site and €65 million for the 2.35 acre commercial site. This attractive office-led mixed use scheme includes 332,497 sq. ft. office space, 347 units comprising 340 apartments and seven three-bed two-storey houses. Designed to impress, the Exo will be an 17 storey high office building with spectacular views from the 11,280 sq. ft. of rooftop space. Planning permission for the building came under fast-track planning rules and was approved in March 2016. With 62 car parking units and 320 bicycle parking bays, 172,494 sq. ft. of LEED Gold office space, it is expected to be able to house up to 2,000 workers when complete. The campus contains 343,483 sq. ft. of premium office accommodation as well as residential living spaces including a 23 storey apartment building. Kennedy Wilson had secured tenants for the office space a full 12 months before completion with Indeed taking building 100 and 300 and JP Morgan taking building 200. Location: Area between Pearse Street and Sir John Rogerson’s Quay connecting Grand Canal Dock with the city. Dubbed the ‘Windmill Quarter’, Hibernia Reit invested in four buildings in the Sobo District: 1 Windmill Lane (1WML), 1 Sir John Rogerson Quay (1SJRQ), The Hanover Building renamed 2 Windmill Lane (2WML) and the Observatory. The latter two buildings were existing while both 1WML and the 1SJRQ sites came to Hibernia with pre-existing planning permission for large-scale developments. The developers own a total of 400,000 sq. ft. in the area. It wasn't until the social and residential aspect started being developed as well as the commercial in the 00s that the area became attractive to international giants like Google. The development was proposed to be a 22 storey building with 111,500 sq. ft. of office space and a 110 bedroom hotel and a rooftop restaurant in the George’s Quay area across the river from the Custom House. Plans were initially denied in July 2017 and were since repealed. However the appeal was ultimately rejected on the basis that it would be in danger of detracting from the Custom House building across the river. RGBE had reviewed 42 proposals across the city to find a site to home the developer’s ambition for the tallest building in Dublin. The developers are currently after commencing works on Spencer Place.